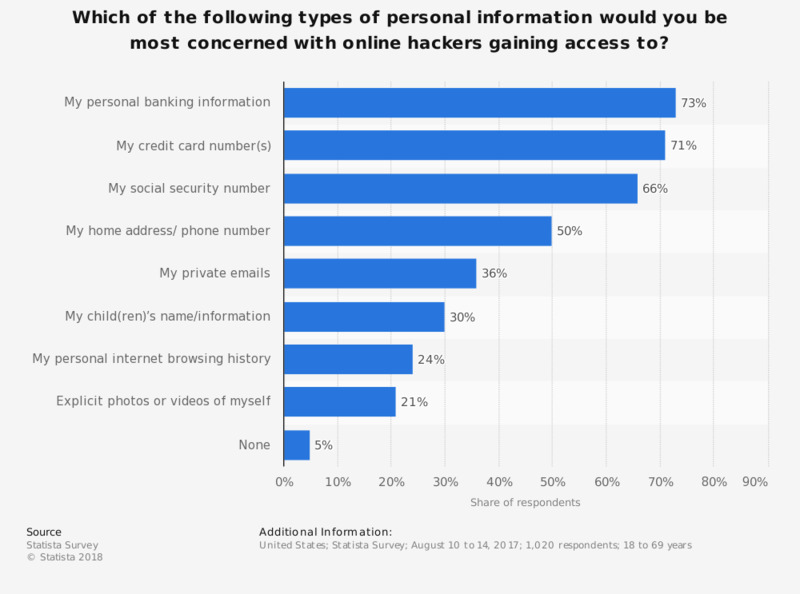 This statistic presents the types of personal information which U.S. adults would be most concerned about online hackers gaining access to. During the August 2017 survey period, 73 percent of respondents stated that they would feel most concerned about hackers gaining access to their personal banking information. Original question: Which of the following types of personal information would you be most concerned with online hackers gaining access to?